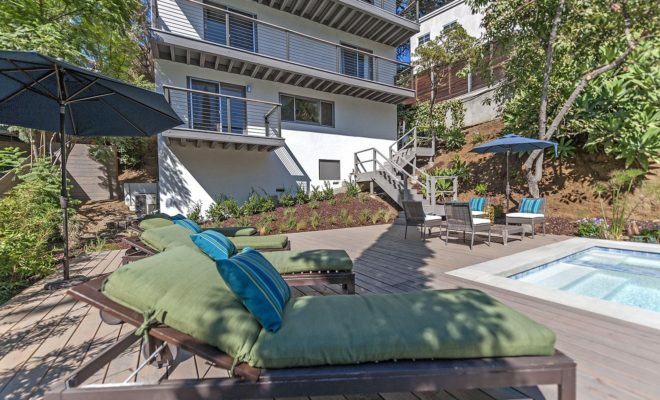 Holiday Special! 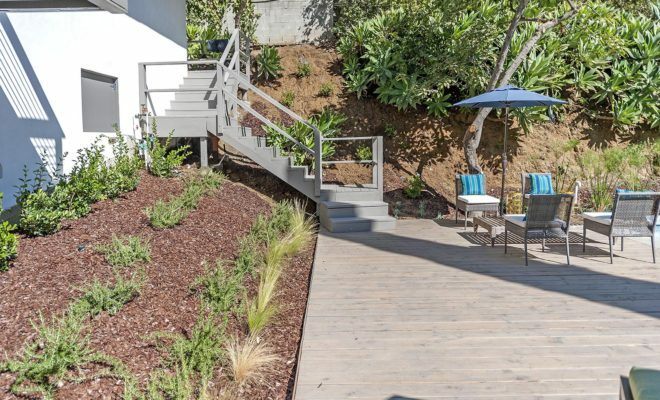 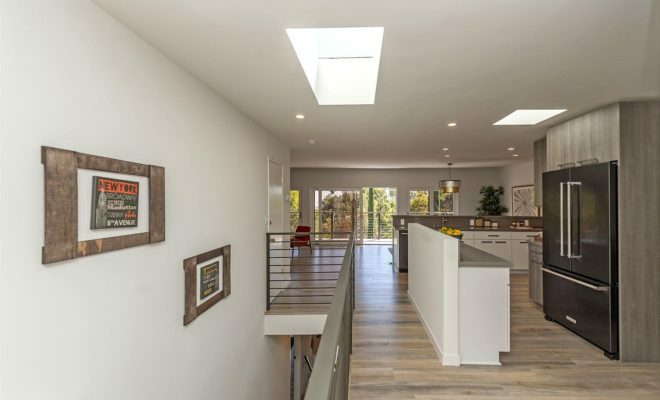 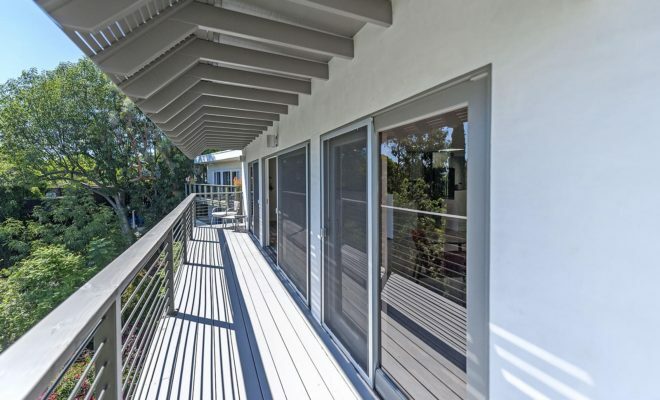 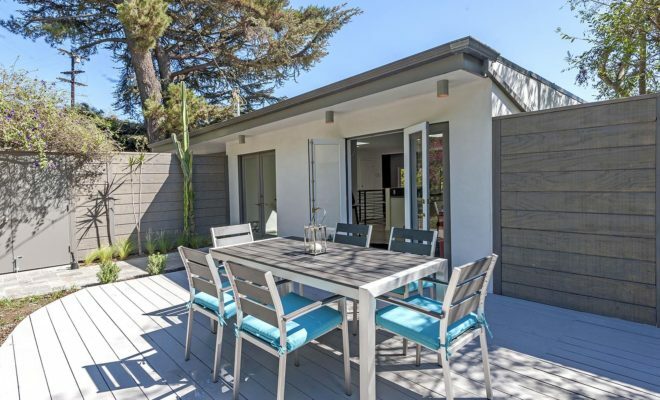 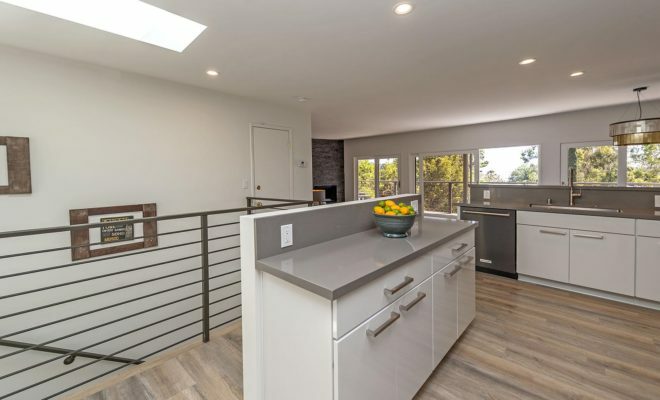 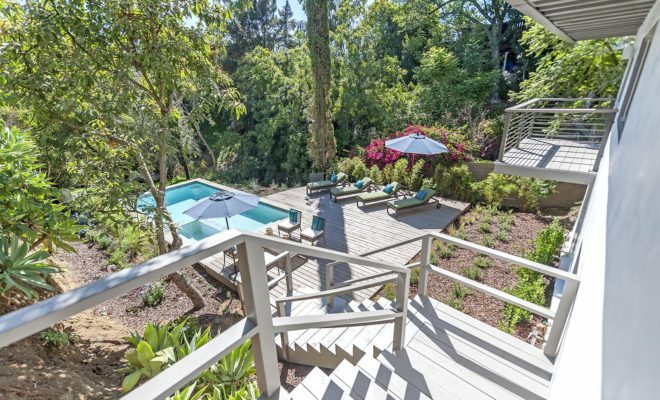 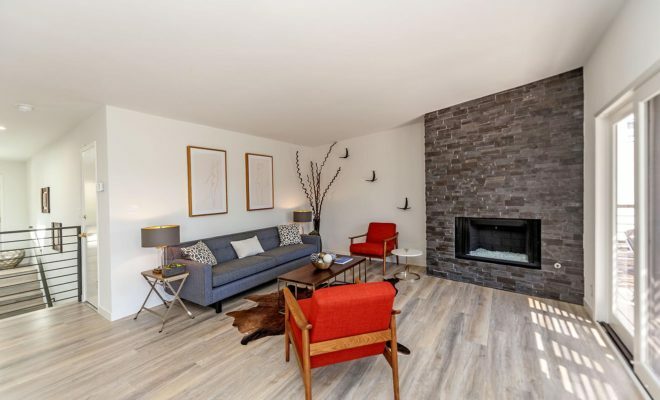 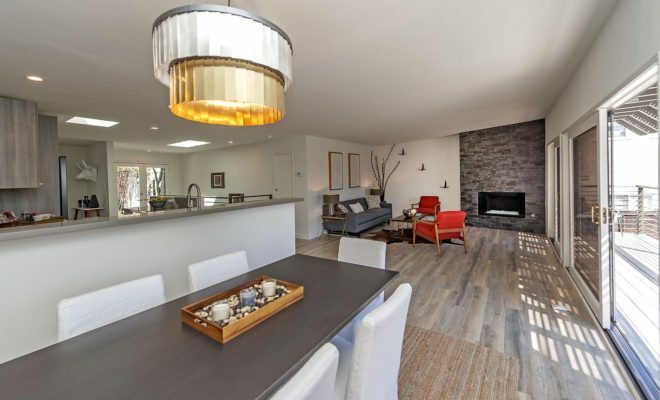 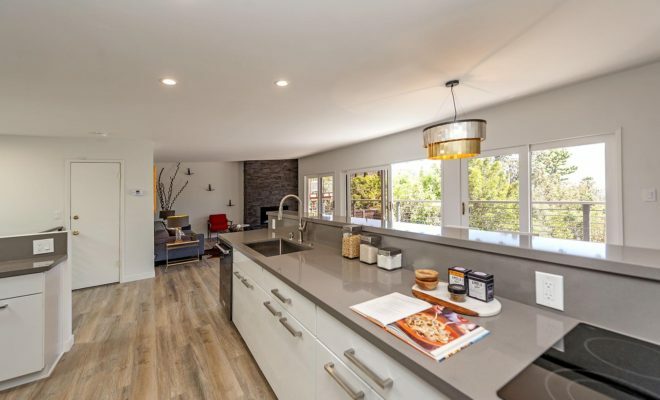 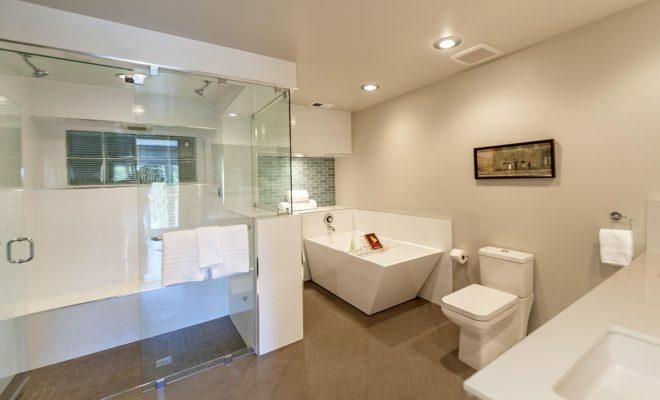 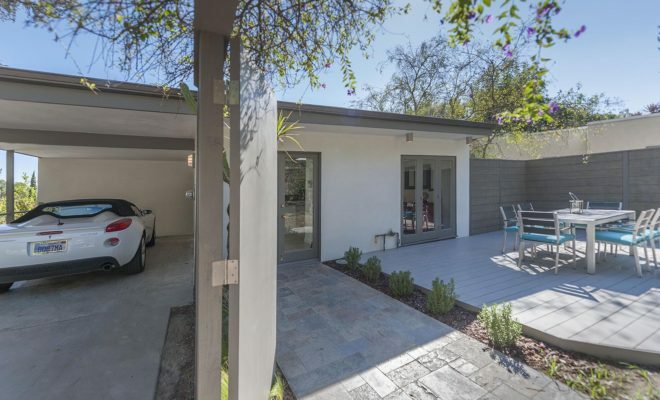 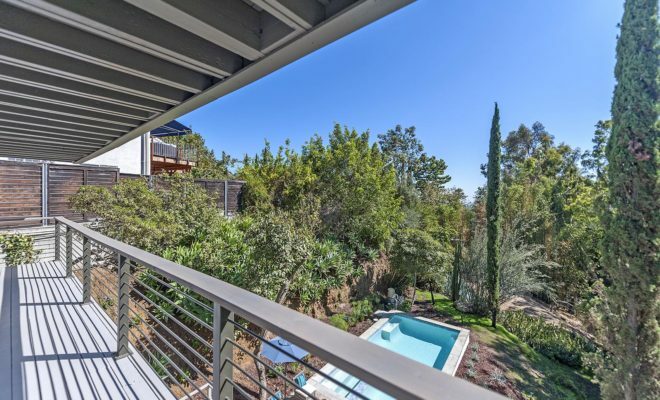 Beautifully sited on a double lot this hillside retreat offers a fresh re-imaging of this 1960’s Mid-Century view home. 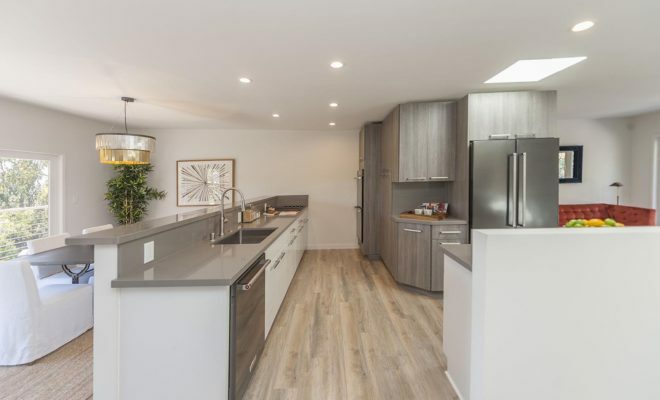 An open concept floor plan includes a new kitchen complete with the latest black stainless steel appliances. 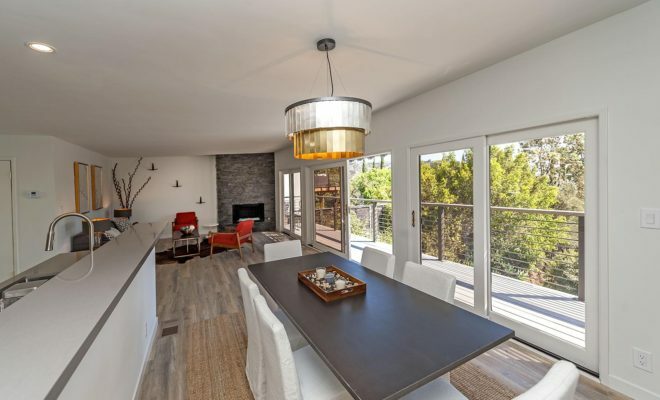 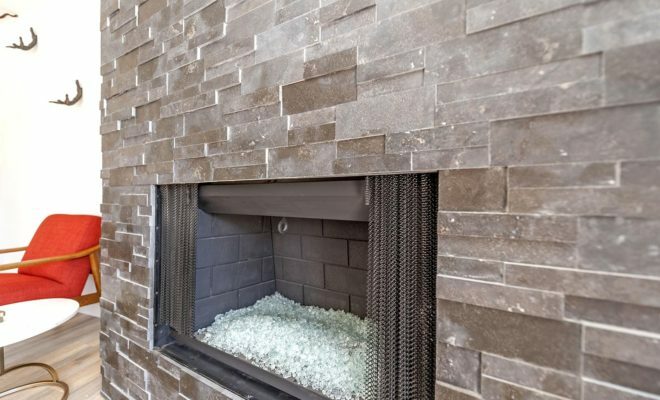 Dining and living area features a fireplace and opens to a deck with gorgeous lush canyon views! 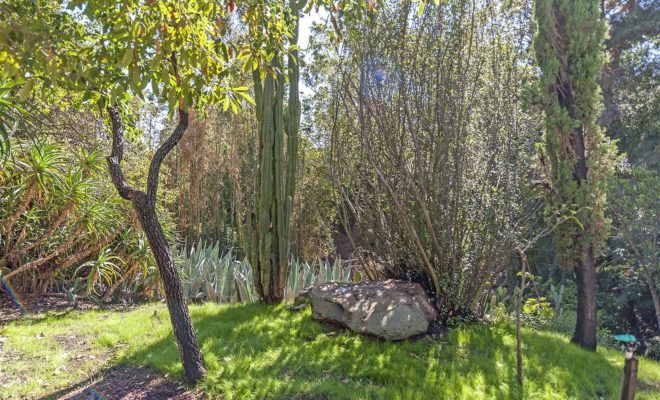 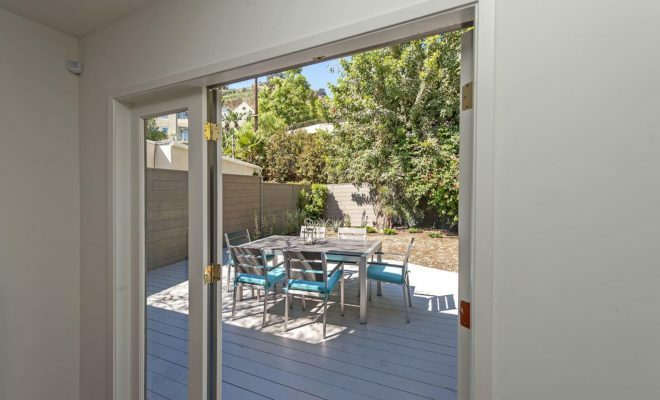 A den opens to the private gated front yard with dining deck and garden. 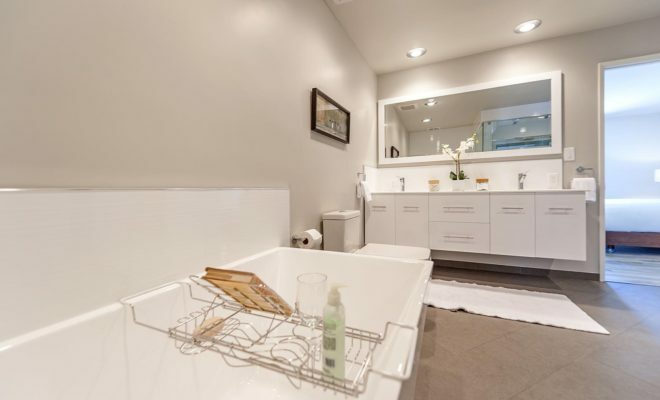 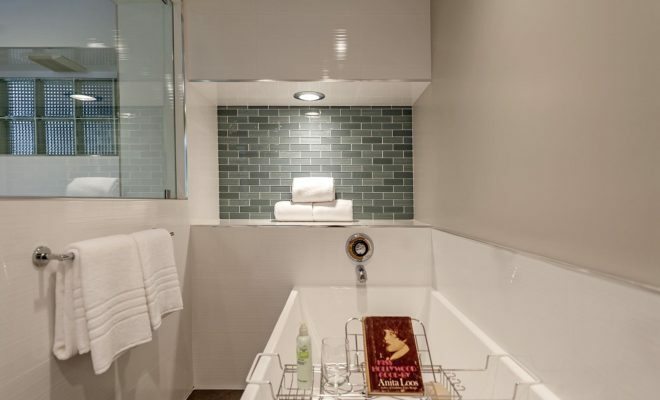 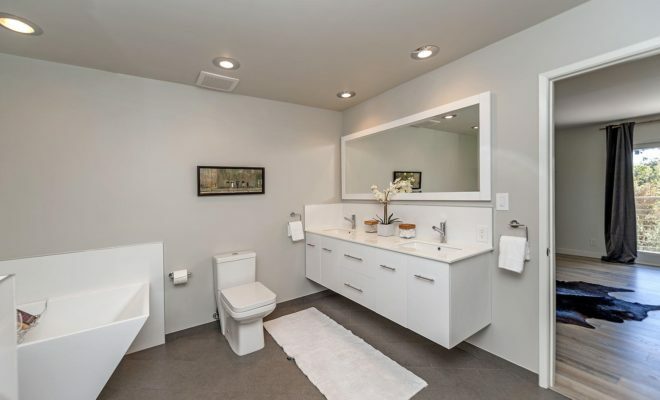 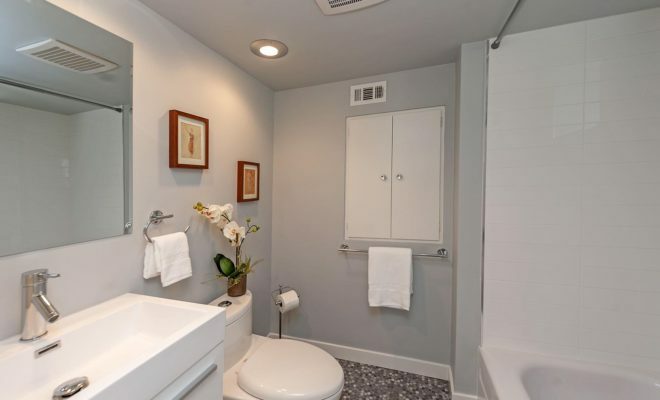 One level down offers a large Master suite with walk-in closet and gorgeous spa quality bath featuring double sink vanity, large soaking tub, and extra large steam shower. 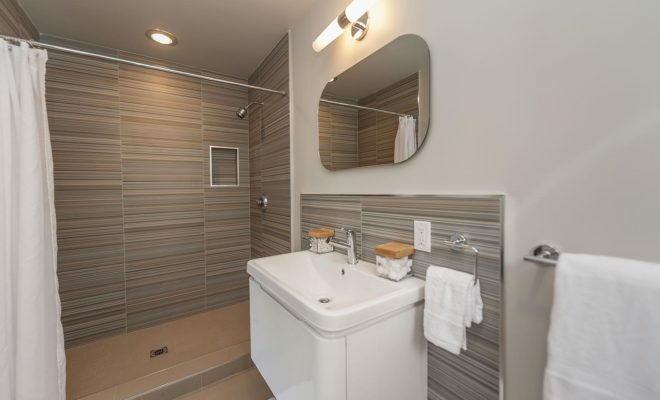 A second bedroom suite with private bath completes this level. 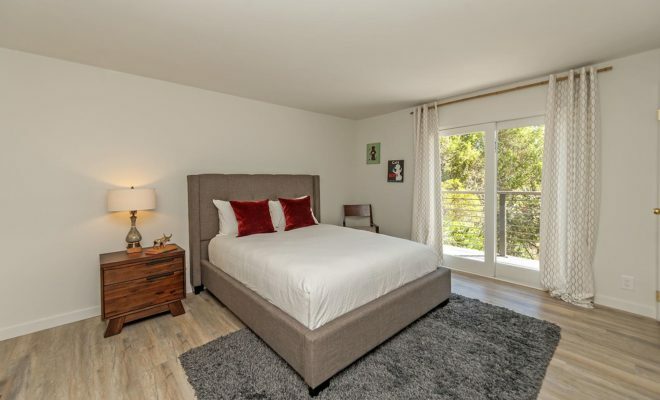 Both bedroom suites open to a deck and tree top views. 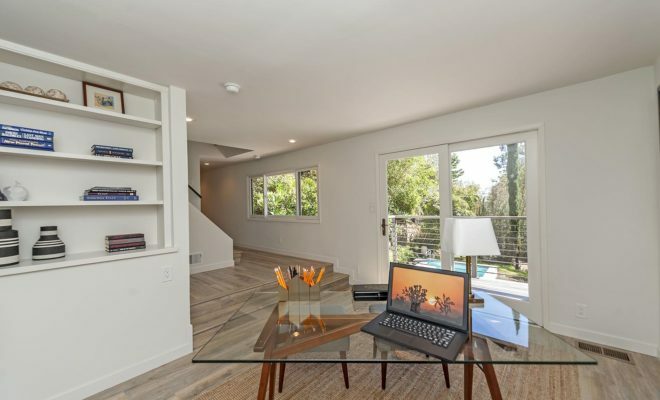 The third level down offers the perfect flexible space for guests or home office complete with full bath, laundry, and opens to lower yard with new pool and spa. 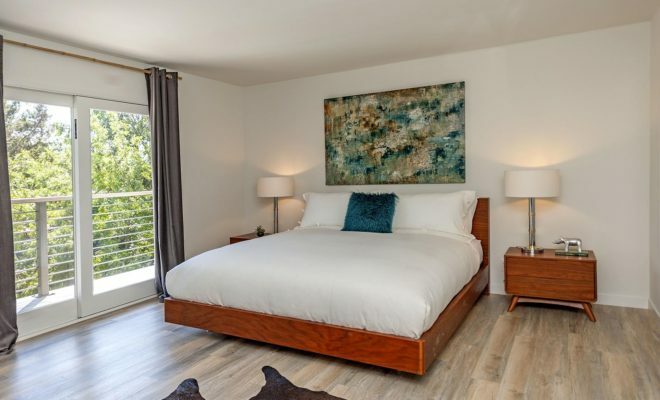 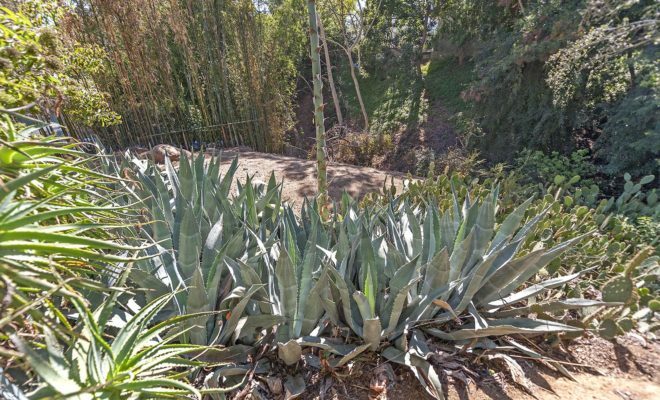 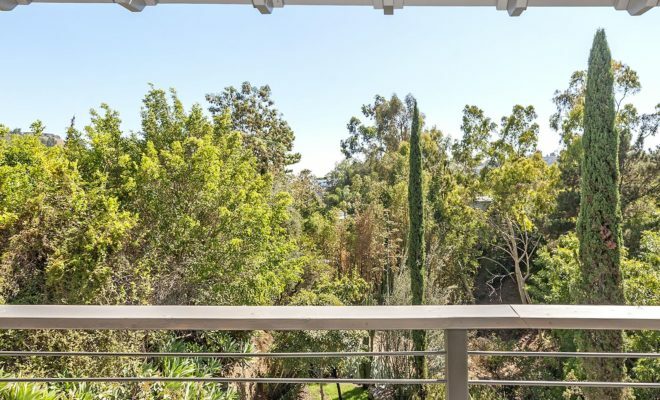 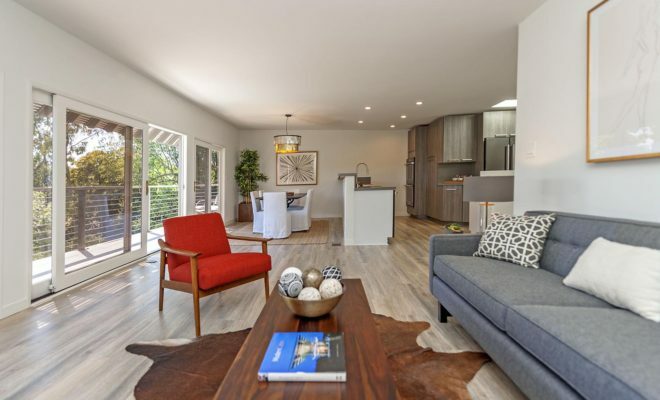 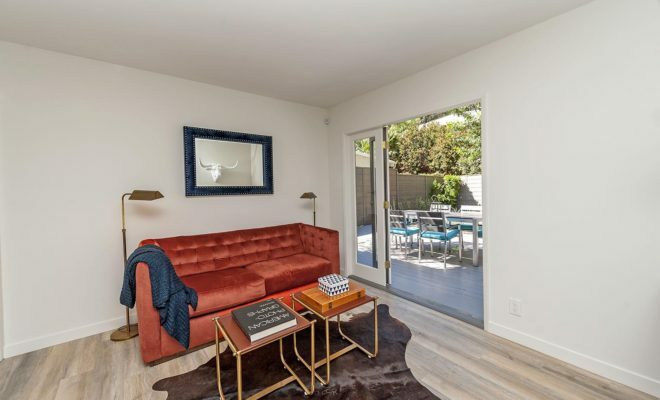 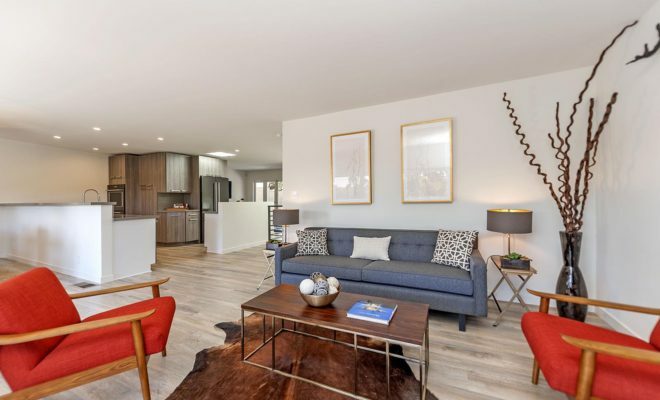 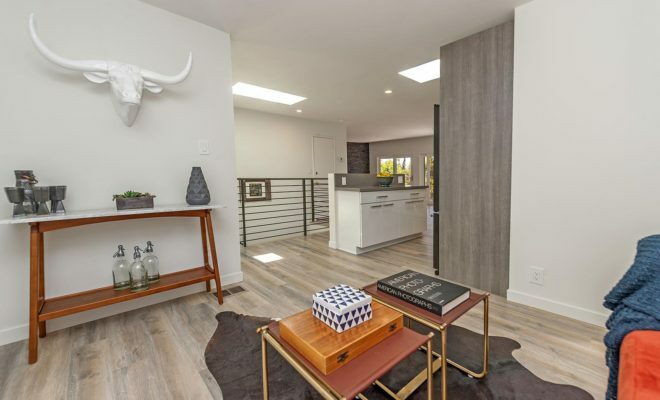 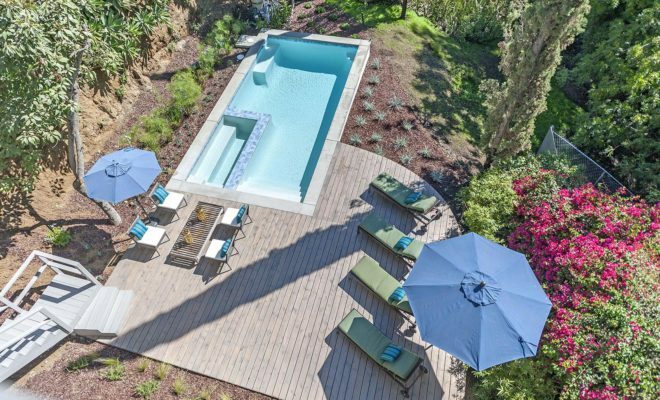 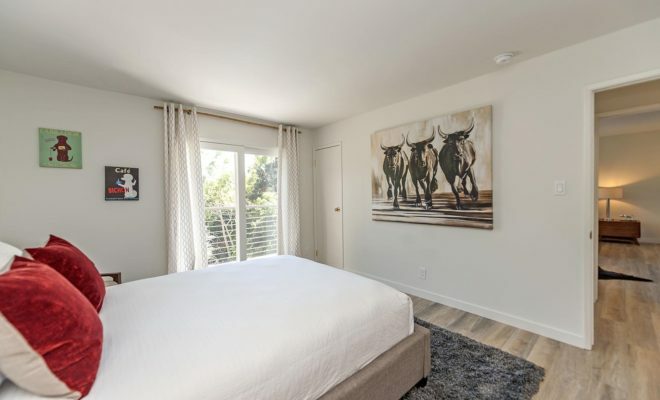 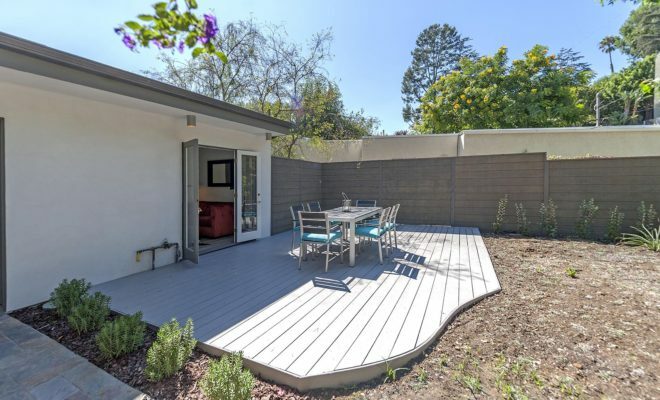 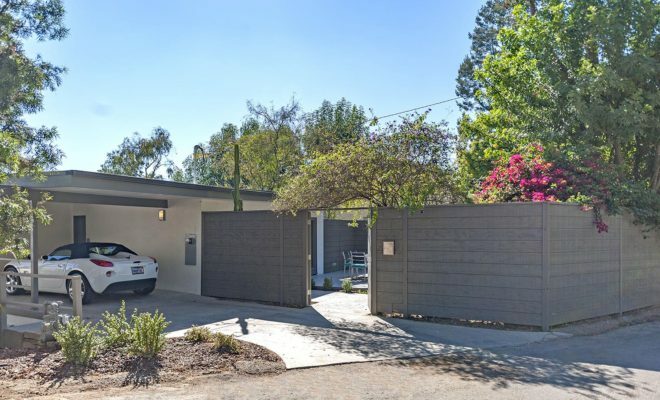 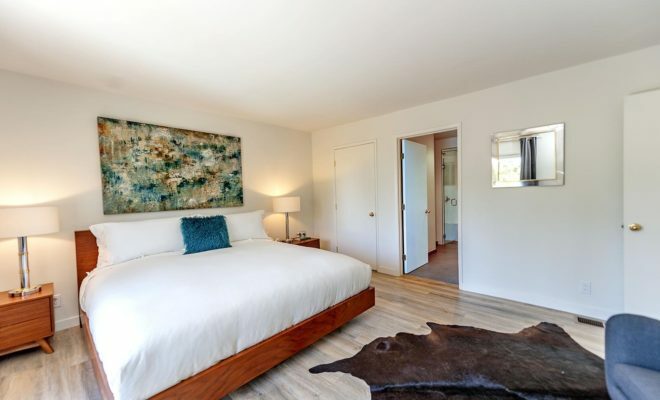 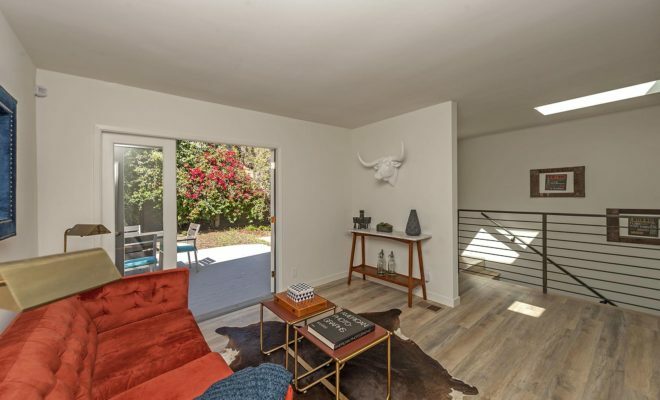 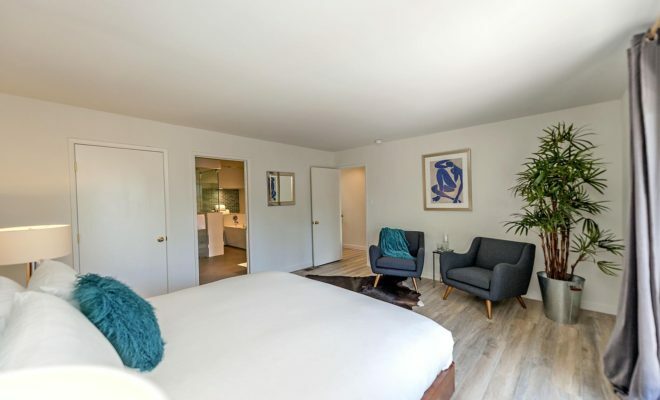 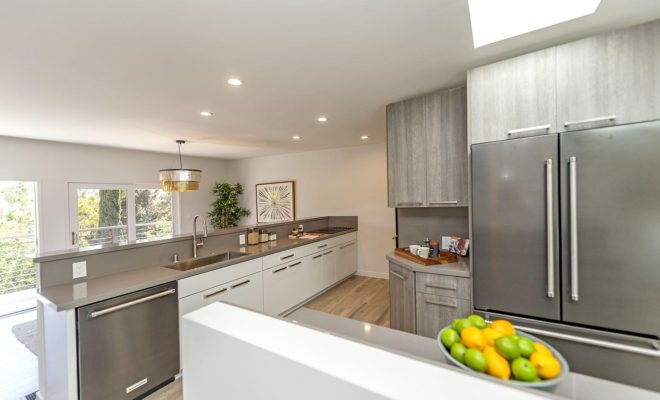 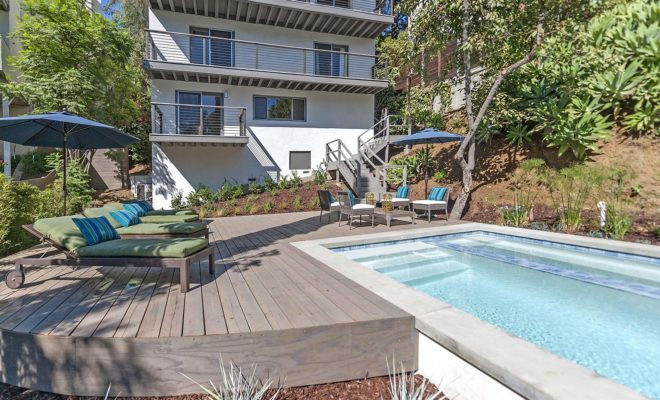 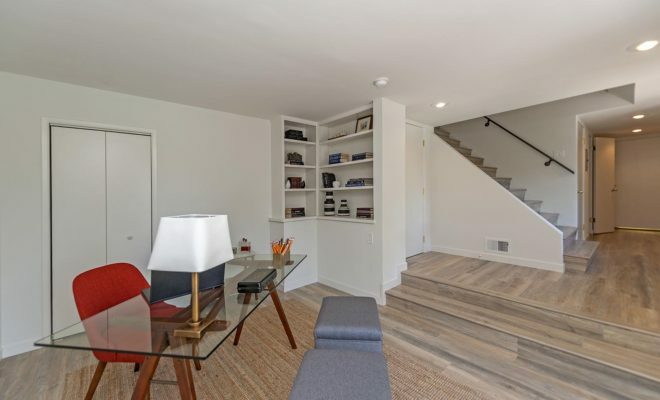 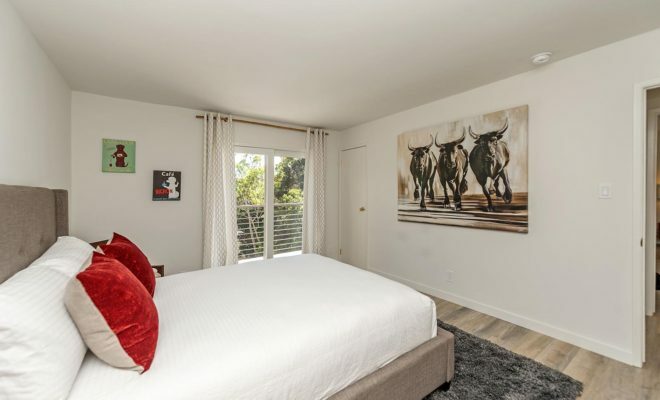 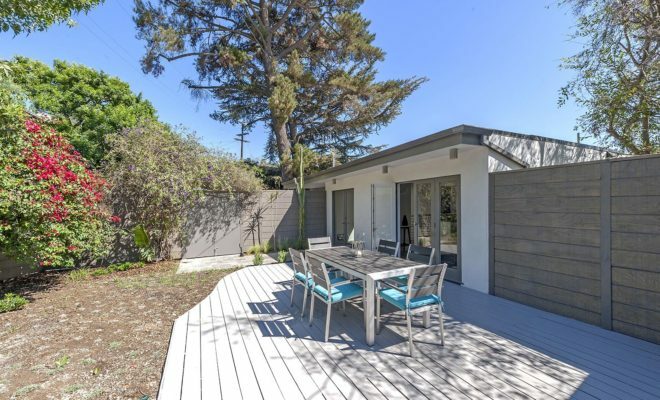 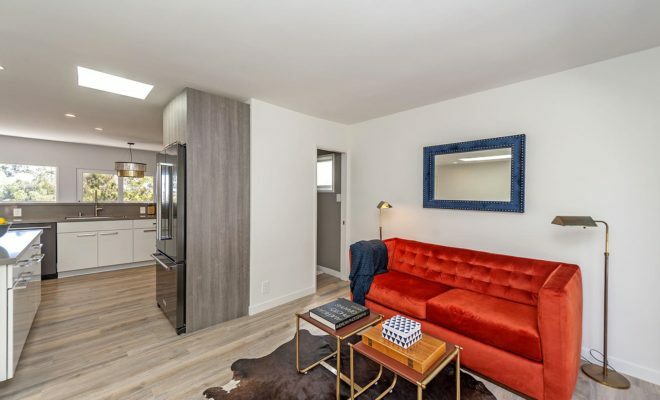 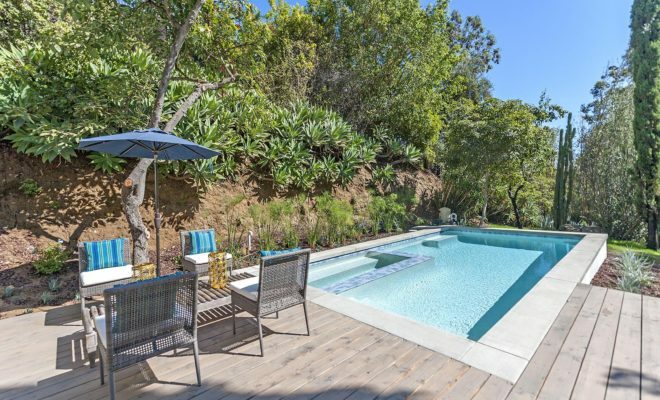 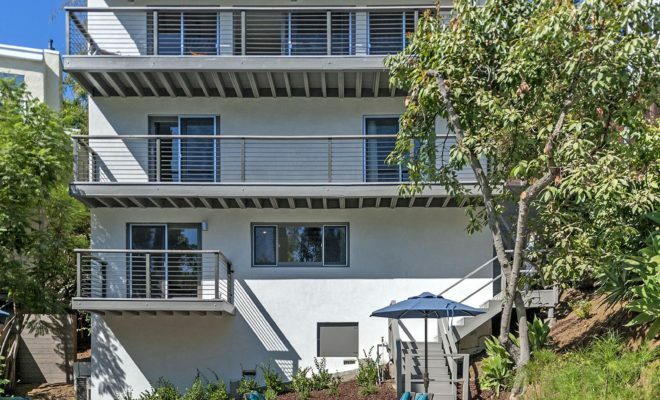 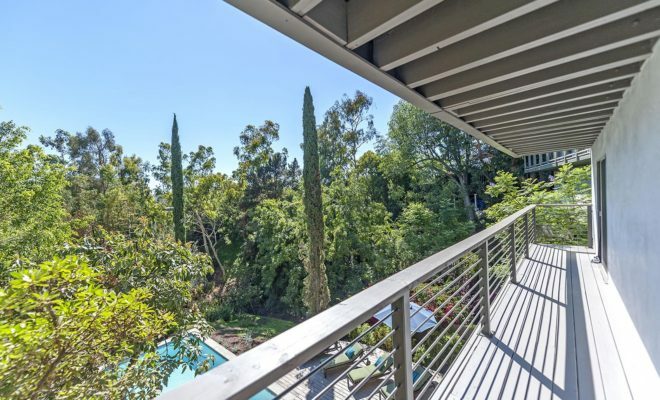 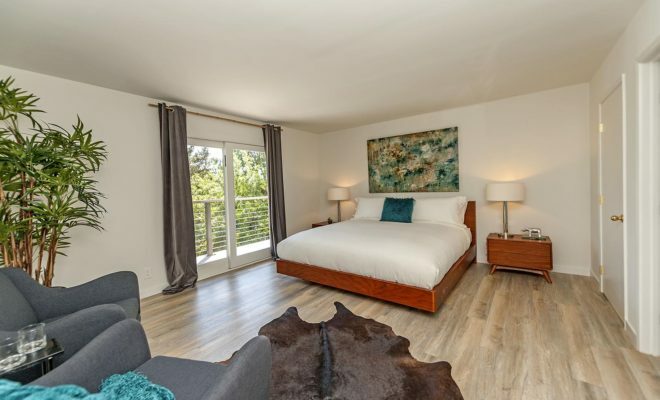 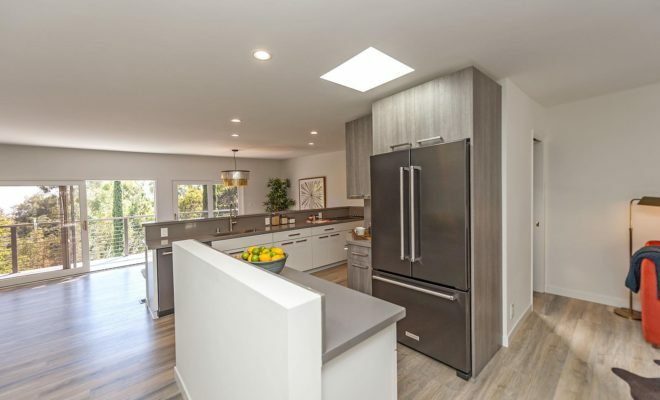 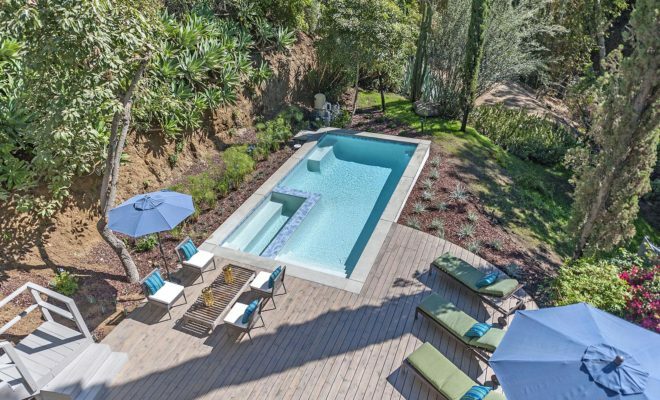 A true peaceful canyon get-away yet minutes to Hollywood and 101 fwy, Studio City just south of Mulholland Drive with easy access to both city and valley communities.